This Life section front on Boudoir photography presented a special challenge, as I had to juggle using the art to tell the story while maintaining good taste. Good vertical art is rare, so I was excited about this heart-warming vertical centerpiece. 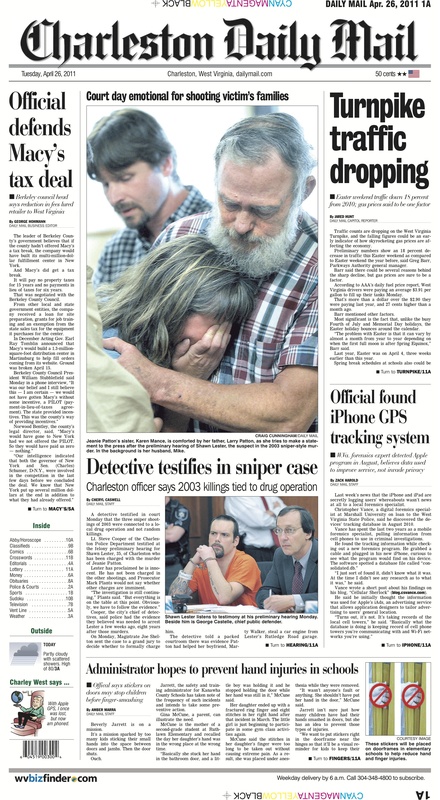 The stories, and thus the layouts, of this front page changed about four or five times over the course of a few hours. When all was said and done, I was very proud of it, and Newseum agreed, as they selected it as one of their Top 10 pages. 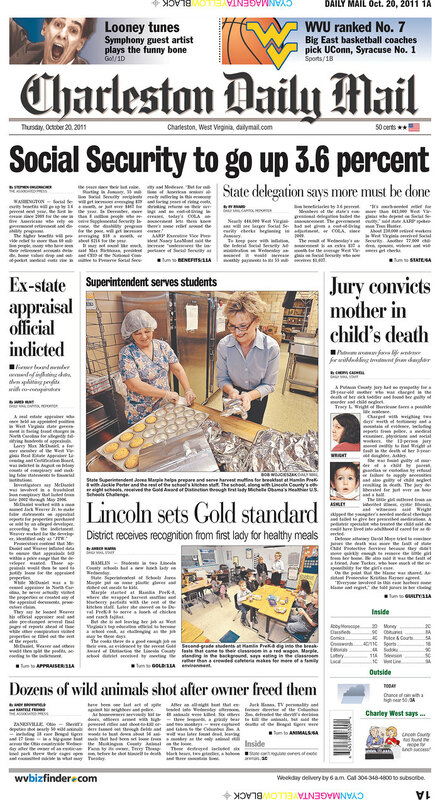 This page is unsual because it strays from the five-story front by adding an extra story. 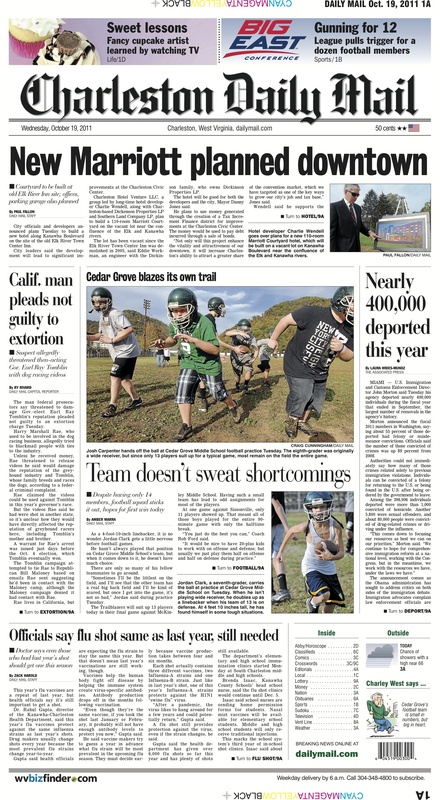 This page allowed me to use a larger-that-normal font for a breaking news story, but also had cute feature art. 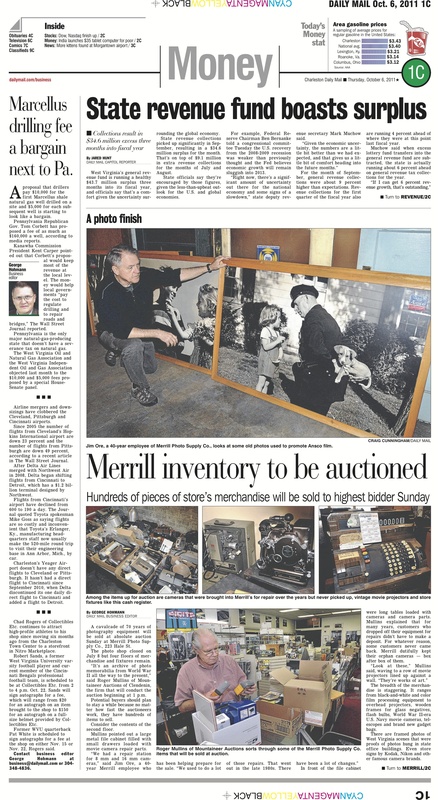 This three-story section front allowed me to use the art well to make a nice package for a local store that was auctioning off its remaining inventory. 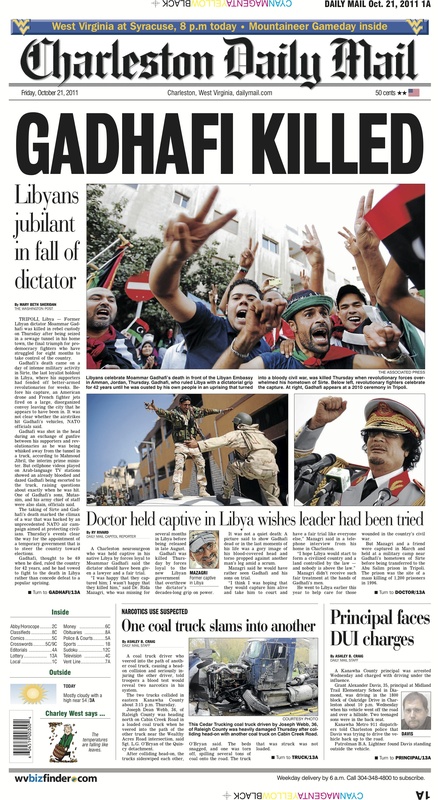 This front page was selected by Newseum as one its top 10 front pages on April 26, 2011. 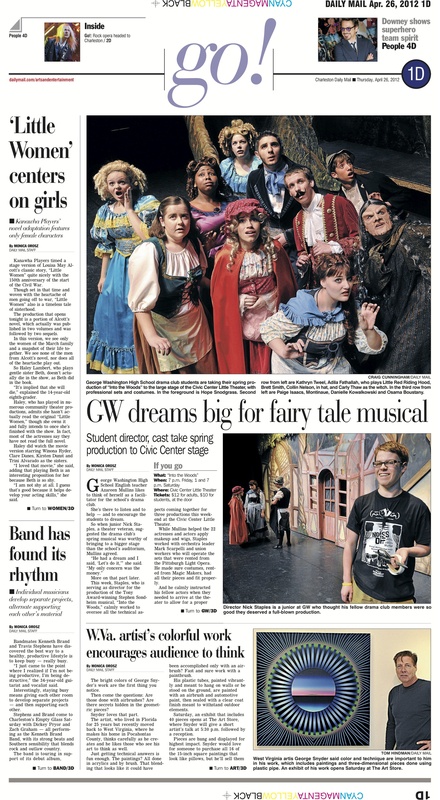 The big news this week didn’t have any art, so I used two wild art photos — both on important community events — to hold the page together while still giving good play to the news stories. 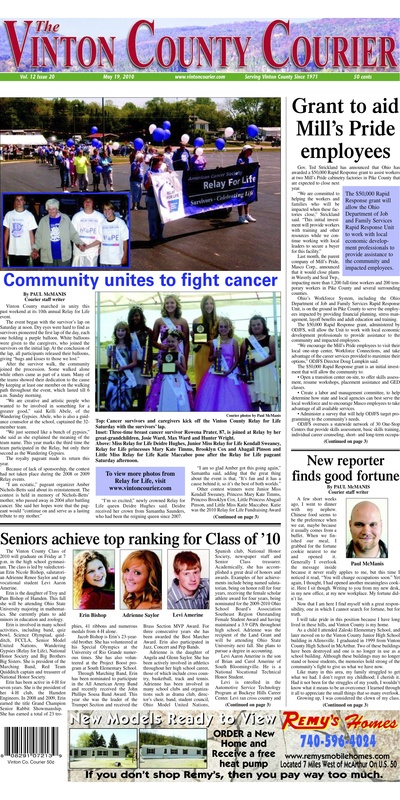 This front page featured a photo package from the county’s Relay for Life event, as well as one my favorite headlines I’ve ever written. “New reporter finds good fortune” is a column from our new reporter, who before being hired opened a fortune cookie with some good news. 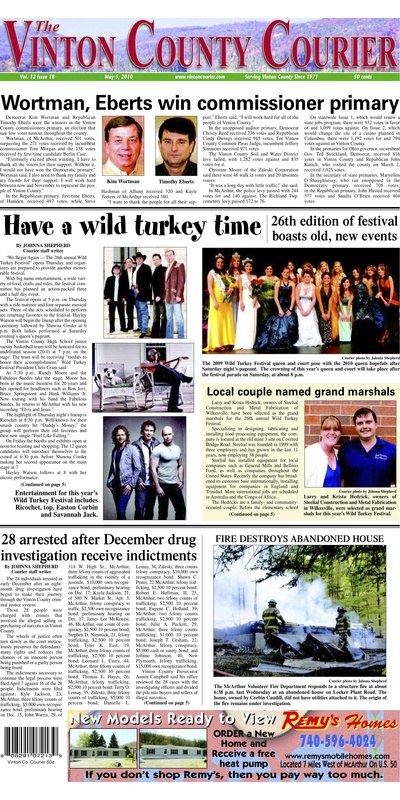 This paper’s centerpiece included preview coverage for the annual Wild Turkey Festival. 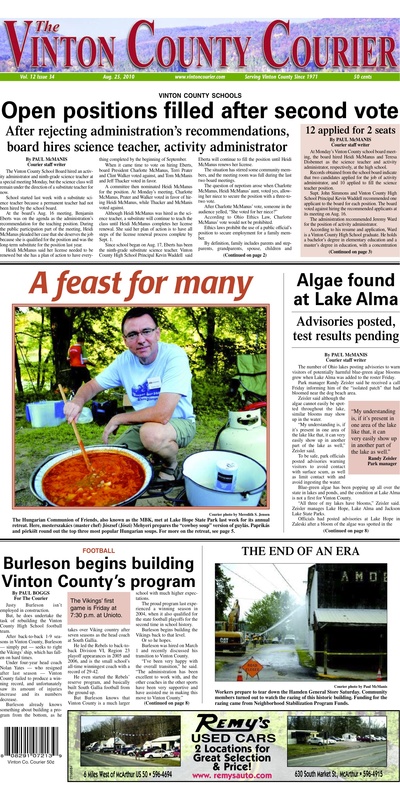 It also included the results of the county’s primary election. Election days were difficult because deadline was normally 3 p.m. Tuesdays, so we pushed deadline back until 10 p.m. but it still always a crunch to get the results. 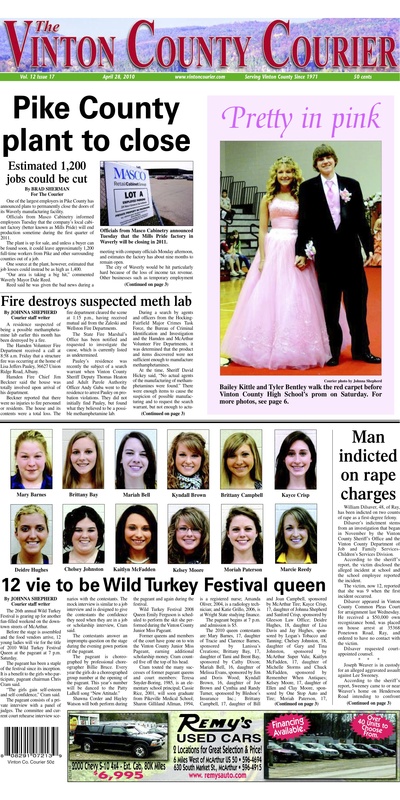 Another tradition at the newspaper is putting headshots of pageant contestants on the front page. It is always a challenge trying to find a way to display 12, or more, headshots while still making the page look good. This is an unusual layout that I think works well. One of my favorite types of art to work with are detail shots, like the ones of the individual Santa figurines that line the top of the page. 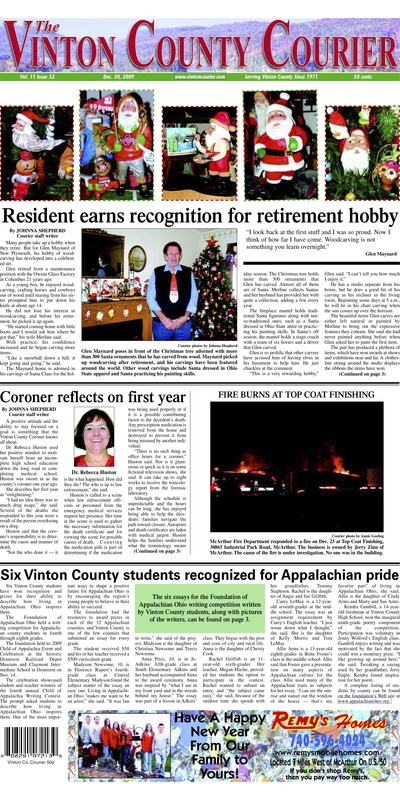 Although the dominant art package being at the top of the page is unusual, I think all the Santas at the top grabbed readers’ interests on the news stand. 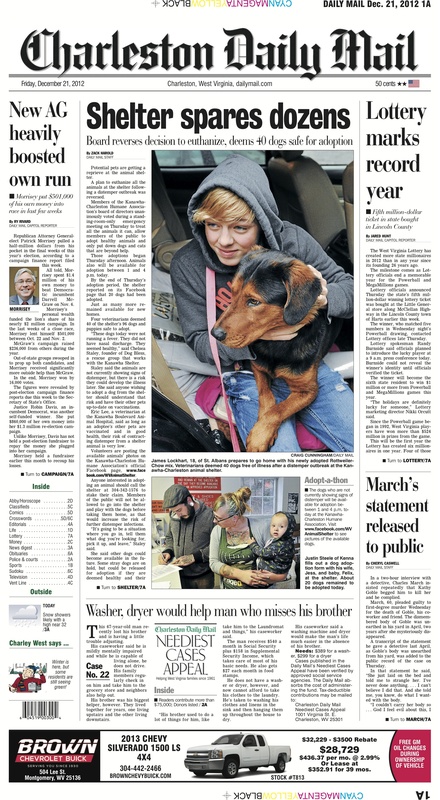 One of the most challenging aspects of a weekly paper is the yearly review. 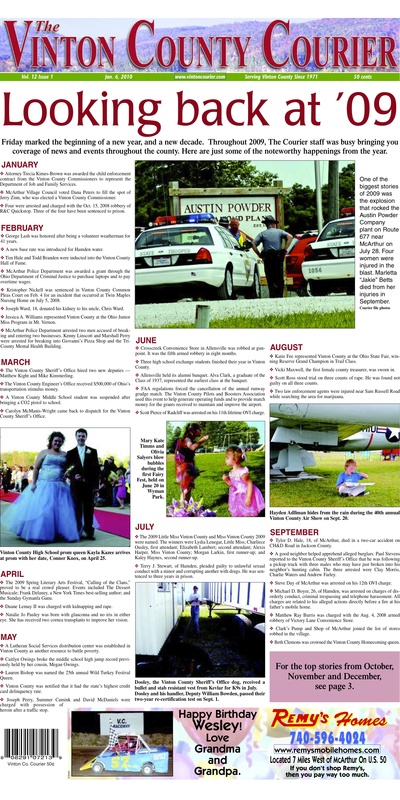 Every year the staff compiles a list of notable events, and then it is up to the designer to put together a front page that includes a visually appealing timeline of events.